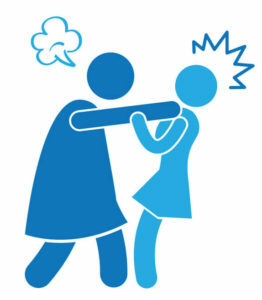 The law says an assault is committed where the defendant intentionally or recklessly causes the victim to apprehend immediate unlawful personal violence. The victim need not be put in fear but must be aware that they are about to be subjected to violence. If the victim does not anticipate unlawful personal violence there is no assault. “Actual bodily harm” is more serious than “Common assault”. This offence is usually charged by the police when there is an assault which results in bodily harm which means any injury which is more than a minor injury. Hence in respect of the police charging decision the most important factor to consider is the “level of injury”. If the injury is more than transient and results in an injury which requires medical intervention the likelihood is that it will be charged as actual bodily harm. “Unlawful wounding/inflicting grievous bodily harm” is a more serious offence then Actual bodily harm. The prosecution must prove that the accused either intended or actually foresaw that the act might cause some harm. To be convicted of this offence the prosecution do not need to prove that the accused foresaw the gravity of injury described in the charge. “Wounding or causing GBH with intent” is the most serious offence of all the assaults. The distinction between s18 and s20 is one of intent. The seriousness of the injury itself is not the only factor taken into account when deciding on the offence to be charged. The most important factors to consider are whether it was a repeated or planned attack, the weapons used, any prior threats made to the victim, using articles adapted to cause injury or use of offensive weapons or was the victim kicked in the head. Unlawful wounding/inflicting grievous bodily harm carries a maximum sentence of 5 years imprisonment, which is the same as Assault occasioning actual bodily harm, in the crown court. Wounding or causing GBH with intent carries a maximum sentence of life imprisonment in the crown court. If you have been charged with any of the above offences including “Murder” or “Manslaughter” there is a strong likelihood that the police will be relying on Forensic evidence in the form of DNA evidence or blood splatter evidence. Hence it is important that you have a solicitor who has the expertise patience and experience of considering and understanding the evidence, and is able to explain it to you and take detailed instructions from you and robustly defend your case.I also have experience of instructing forensic experts in such cases and identifying the areas of evidence that can be challenged by defence experts.